A comprehensive handbook on managing federal employees that covers, from a supervisor's perspective, every important aspect of human resources management from hiring to firing. This book shows federal supervisors the rules they need, specific strategies and tactics for hiring the right people, structuring their jobs to best motivate them, managing their performance, maintaining discipline, and managing their time. Each chapter will conclude with a summary and checklist for dealing with each issue. 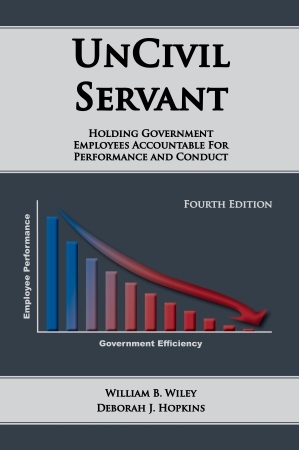 Supervising Federal Employees is a succinct yet thorough overview of the civil service and an in-depth examination of all aspects of the personnel management system, including the unique responsibilities of federal managers. Major topics include employee and management rights and responsibilities, classification and job design, hiring, managing performance, discipline, time and attendance, equal employment opportunity, labor management relations, appeals, and grievances. This guide explains labor relations in the context of the federal government and the unique challenges that face federal managers of unionized workplaces. Major topics include an introduction to federal labor relations, basic principles, creating a union presence, management rights and obligations, employee and union rights and responsibilities, dealing with union officials, change situations, administering the agreement, and representational situations. Conducting Misconduct Inquiries provides comprehensive and practical instruction to supervisors investigating alleged employee misconduct. With an emphasis on how to conduct fair and efficient inquiries, the text guides the reader so that only provable claims go forward to third parties and the agency satisfies any obligation to take prompt and appropriate action. EEO and the Federal Supervisor guides federal supervisors through the intricacies of discrimination law and demystifies the potential impact of EEO laws on personnel management decisions. Major topics include the legal history of EEO, discrimination, hiring, discipline, and other supervisory decisions that impact the careers of federal employees. This straightforward training manual educates federal supervisors and managers on complaints and theories of discrimination and the complaint process. Advice is liberally interspersed on how to prevent discrimination complaints and how to defend against a complaint. Written by federal employment law attorney, William Wiley, UnCivil Servant examines employee performance and conduct and offers advice on how to institute and complete disciplinary and performance based actions. Ideal for any federal supervisor, this title offers advice, tips, and steps to preventing workplace violence, protecting employees and clients, and enforcing necessary standards to ensure safety in the workplace. Major topics include types of workplace violence, tools to deal with workplace violence, the most common myths, preventative measures, verbal and other intimidating behavior, physical acts of violence, and violence from other sources.